Today I'm going to talk about a proposed change that I feel would assist with the development of the up and coming professional squash players. As juniors we are normally promised 3 matches and in some international events the tournament is played out to the final positions. I mean, who would want to travel all the way across the country or the world to get 1 match? Professional squash players matches lose and go home, or onto the next tournament to try again a week or two later. When I graduated school I couldn't dream of playing any pro tournaments because I had student loans to start paying back and I knew I wasn't going to make a living by playing professionally. But like myself, it's a lot of kids dreams to play professionally, travel the world and meet new people and attempt to achieve our potential in this sport we love. In PSA events if you lose first round in qualifying you don't even get a paycheque, so it's no wonder very few ever stick with their professional squash careers. I wonder what the annual turnaround is for memberships? There is a lot of pressure involved here, no points, no money and just 1 match! With my proposed change the up and coming pros will have less pressure on their result and can focus on becoming more comfortable in their environment and gain experience playing a variety of opponents at various facilities. I don't know anyone ready to start making a living by the time they finish juniors. But still they go and sign up for a PSA tour card and register for some small events. It takes years to be competitive against older and more experienced players. Over the past decade I have seen an extremely low number of Canadians stick through this process for more than a year or two. It's a losing battle and after they put in so much work and go home with nothing or very little they think twice about what they're doing with their life and usually decide to settle down and take a coaching job! Unless someone has a lot of sponsors or wealthy parents or is so skilled that they begin winning right away (which is incredibly rare) this is a real dilemma with squash players looking to transition from junior or college squash and become a professional squash player. It makes the idea of becoming a professional squash player pretty unrealistic for most people. So what can we do to improve this process? Hosting more smaller PSA events is a great start but I have another idea. I feel that at 5k events the players should be guaranteed 2 matches. Yes, that's right. This means that if you lose first round you go into a consolation. This means for a draw of 16 you will get an extra 7 matches for the tournament organizer and it also offers the young pro players some much needed experience competing on the world tour. Or if you include the first round qualifying losers you have a draw of 12. I don't know how that would work, but I guess they could randomly assign byes to a few of the players. 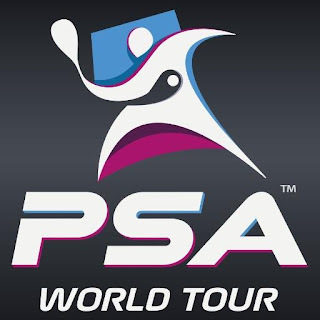 I feel that the PSA could offer a small number of points to people who win matches in the consolation rounds and this also keeps these players around the main competition longer to watch their peers, to bond and to see how they perform. The main goal of this concept would be that all of the players leave the tournament gaining more experience; even for a young player in this situation 2 loses is better than 1. With the price of flights and the lack of small professional tournaments in Canada I believe this would be a welcomed change and it could go a long way in keeping some of our young talented players in the sport. This could only trickle up and make the PSA stronger and deeper and it may be just enough to keep a future champion or top 10 player in the game. I realize that this proposition means that the 5k events may become 6 or 7k if they are to pay out the consolation winner and runner up. But I believe many young people playing these events will be happy getting the experience as they aren't going into these events expecting to make money, only to get their moneys worth. Also the tournament promoters would have an extra 7 matches to sell tickets for so could probably come up with the extra bit of money from ticket and beverage sales. What do you think? Can you see the PSA going this route? Should it extend to 10k events? Would they have to penalize players that pull out of the consolation? I believe our young talented players would get twice as much out of this type of experience and it wouldn't be much extra work to arrange. I'm all for the idea. Come on PSA, the ball's in your court! I think it's great but doesn't go far enough. Make all main draws of 5k events MONRAD. It's what people are getting used to and offers more experience and much more squash to spectate! Great idea. The consolation players could also serve as referees for the main draw. I think Monrad is definitely the way to go - what these players need is match time and experience. However, I wouldn't just restrict it to PSA 5k events, all junior events should be the same.